Ashley Tisdale sure does love her Dylanlex necklace! More than a year after we first spotted her rocking this “It” statement brand, she is still proudly wearing the same necklace — and to a public event, at that. We’ve always been supportive of repeat fashion because realistically, it just doesn’t make sense to wear something once for photographs. Ashley is wearing a Sienna necklace, which is part of an old collection that isn’t available anymore. The edgy statement piece was the perfect accessory to punctuate the starlet’s white-on-white ensemble. We absolutely approve this recycled look and hope that she doesn’t get tired of wearing it, because we certainly won’t. The ‘Sienna’ is no longer available. 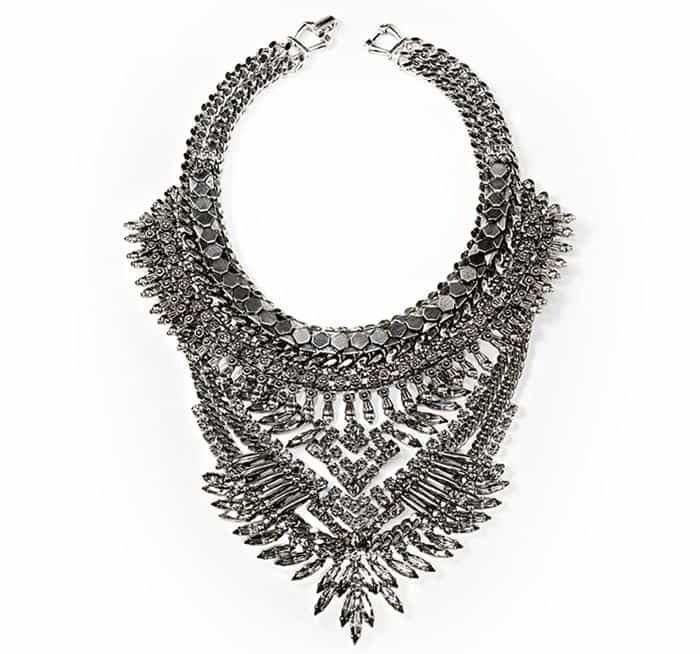 However, we’ve found an equally fierce statement piece that you can purchase at Neiman Marcus.